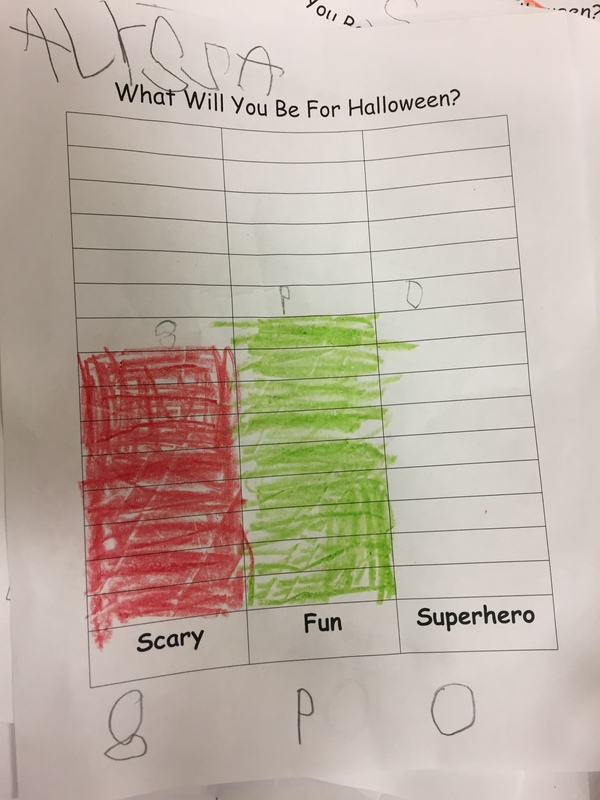 We learned about graphs last week and how to analyze data. 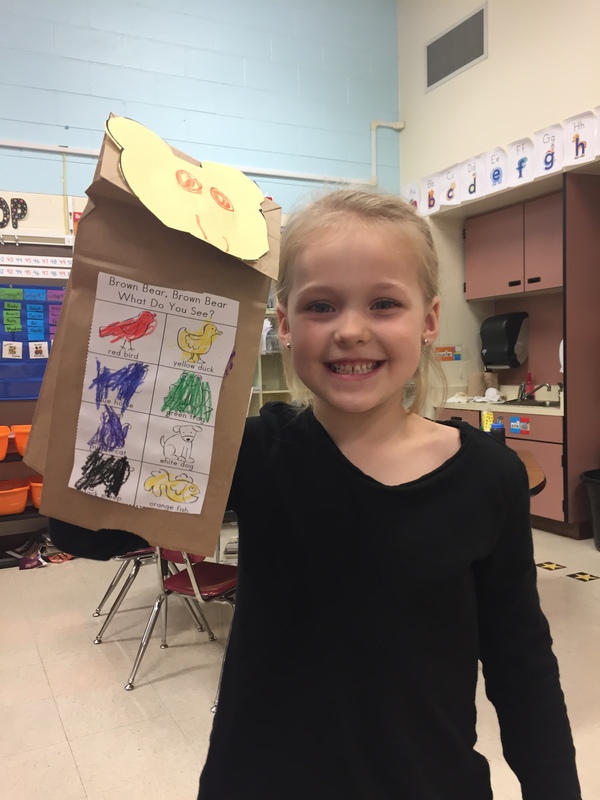 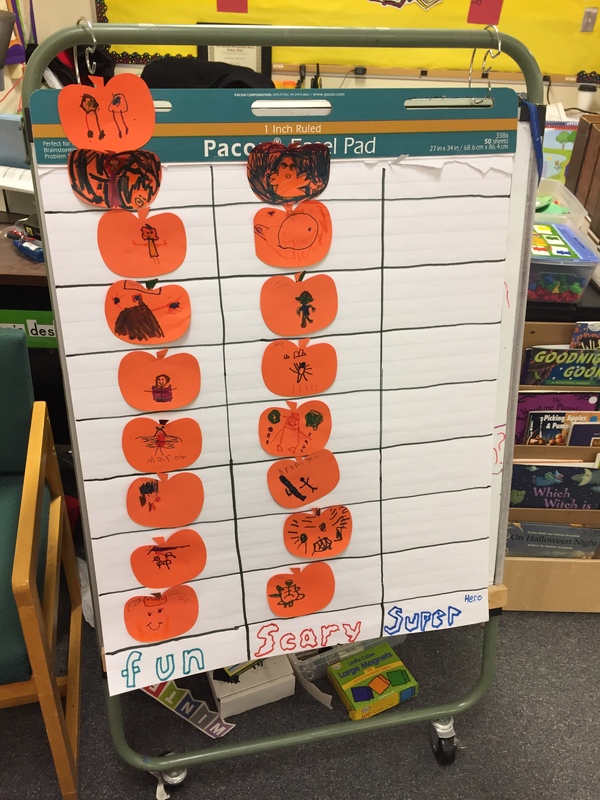 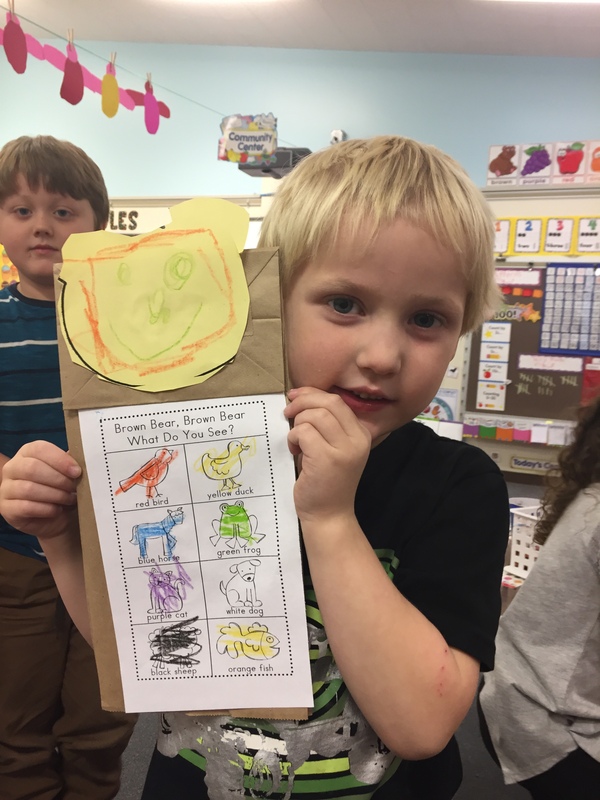 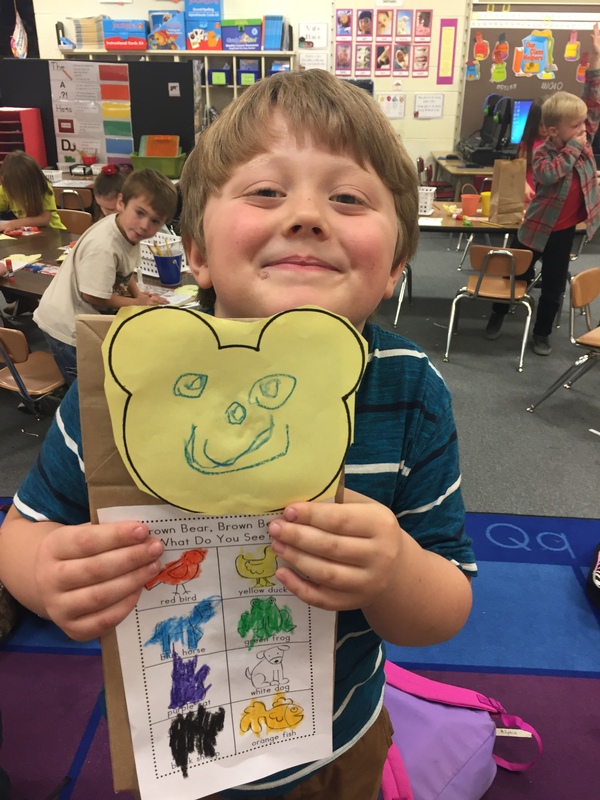 We wrote about what we wanted to be for Halloween and drew a picture on a pumpkin cut out. 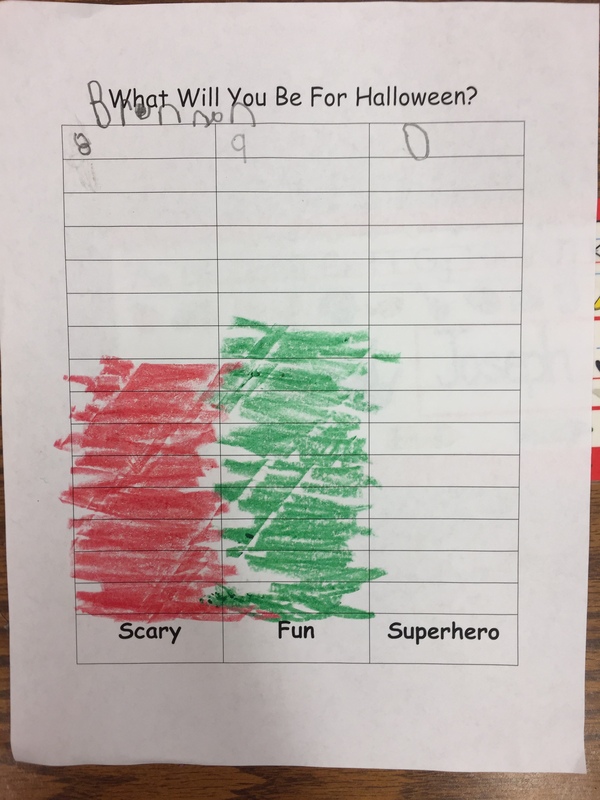 Then students took their pumpkin and put their pumpkin into one of three categories; fun, scary, or superhero. 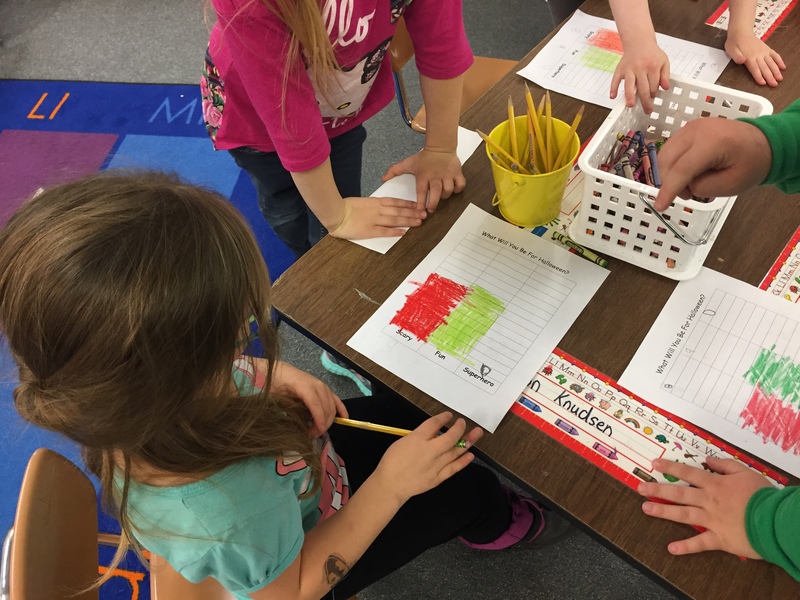 Then students fill out their own individual graphs and describe which category is greatest, and which group is fewer. 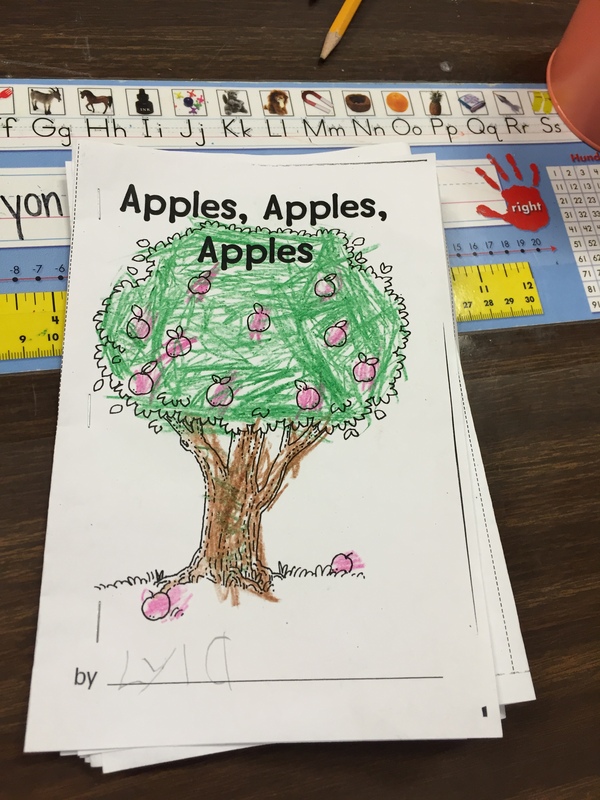 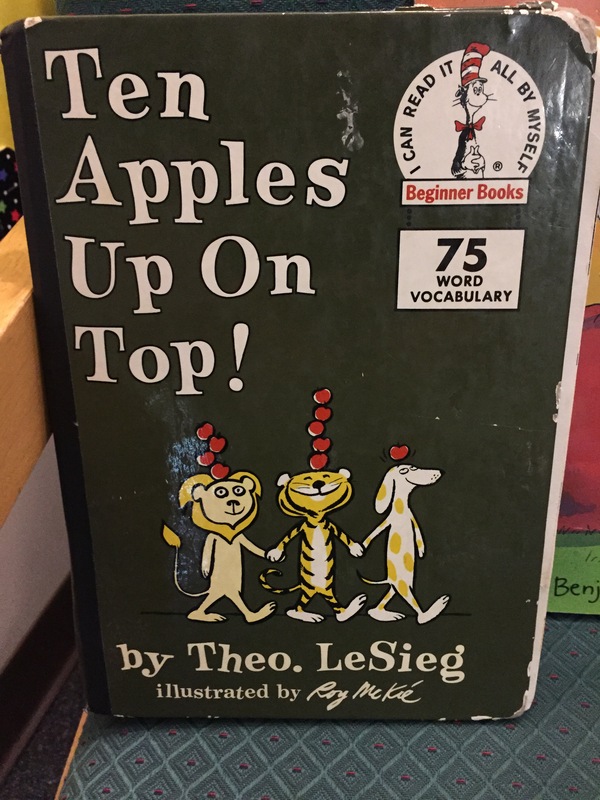 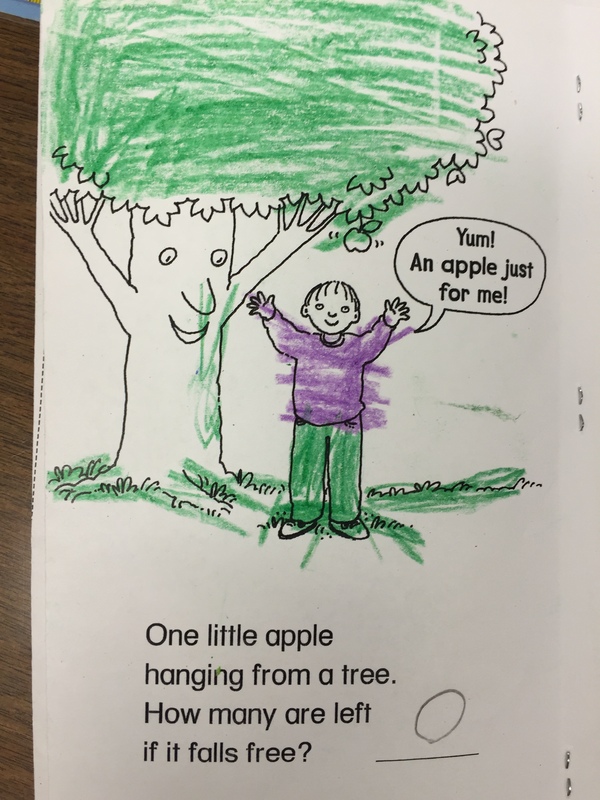 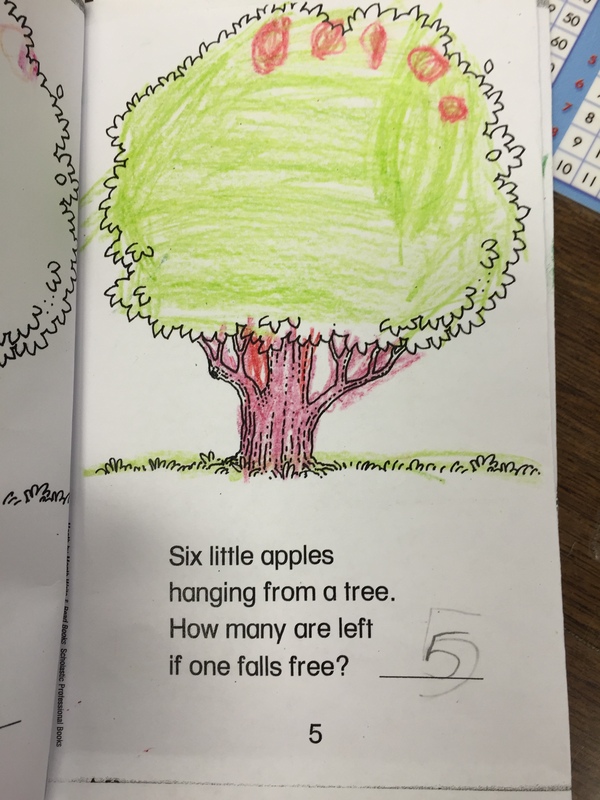 This week we started our apples unit and began the unit by reading the story Ten Apples up on Top by Theo. 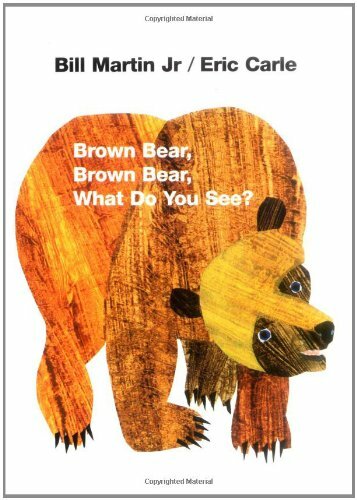 LeSeig. 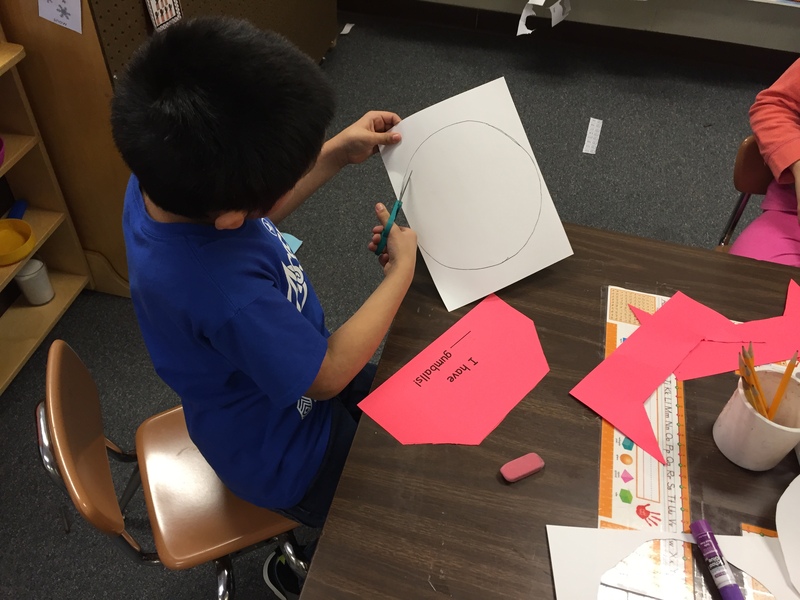 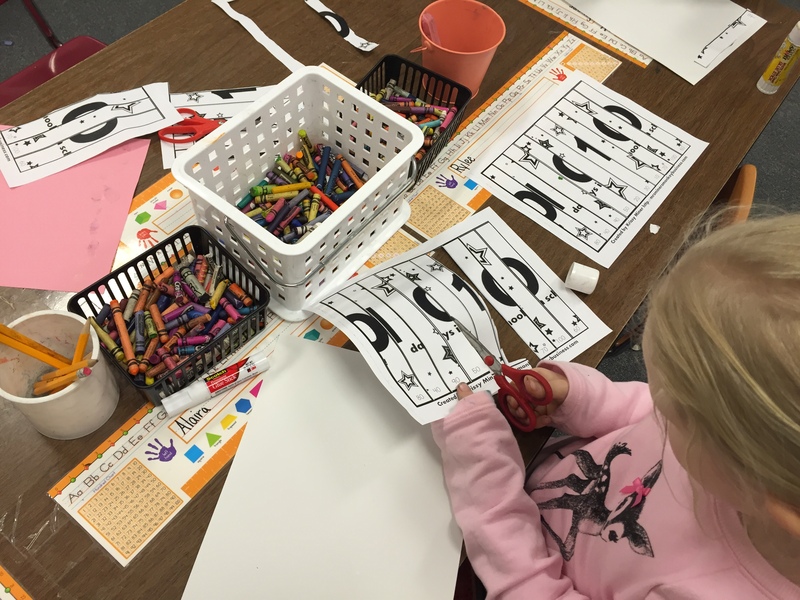 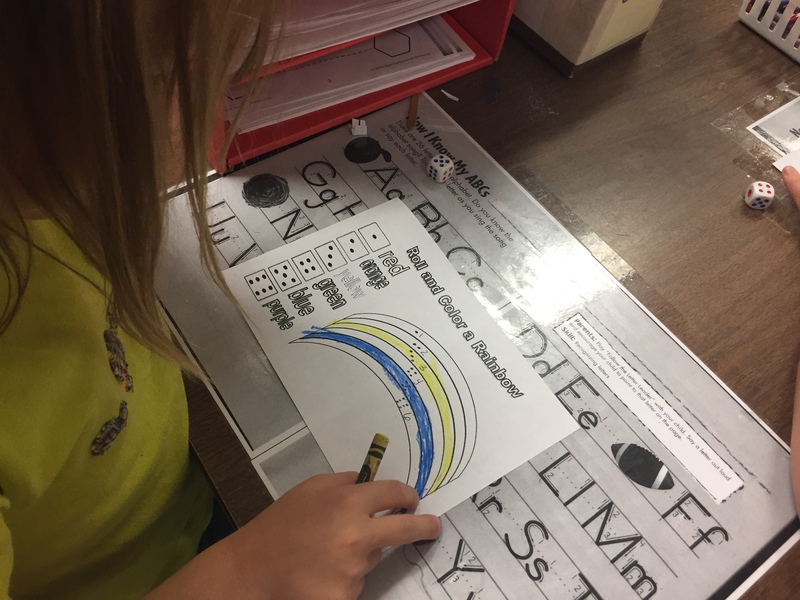 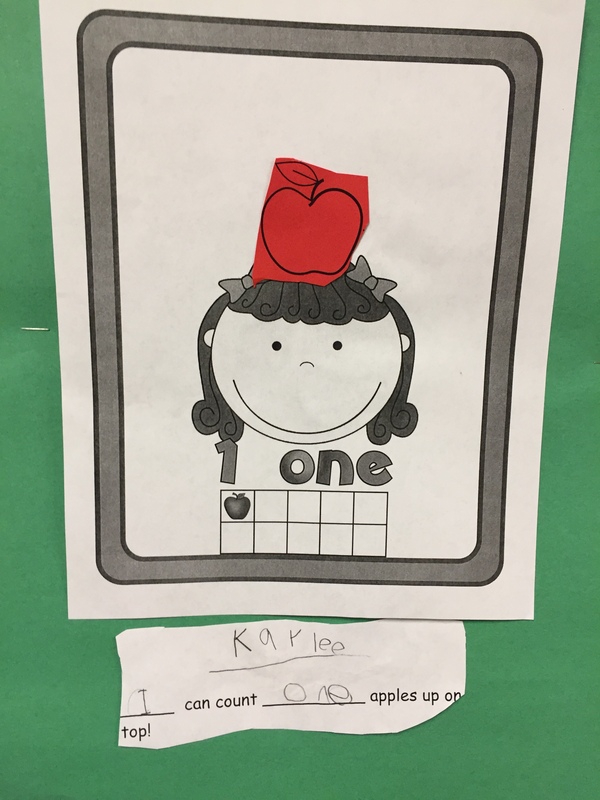 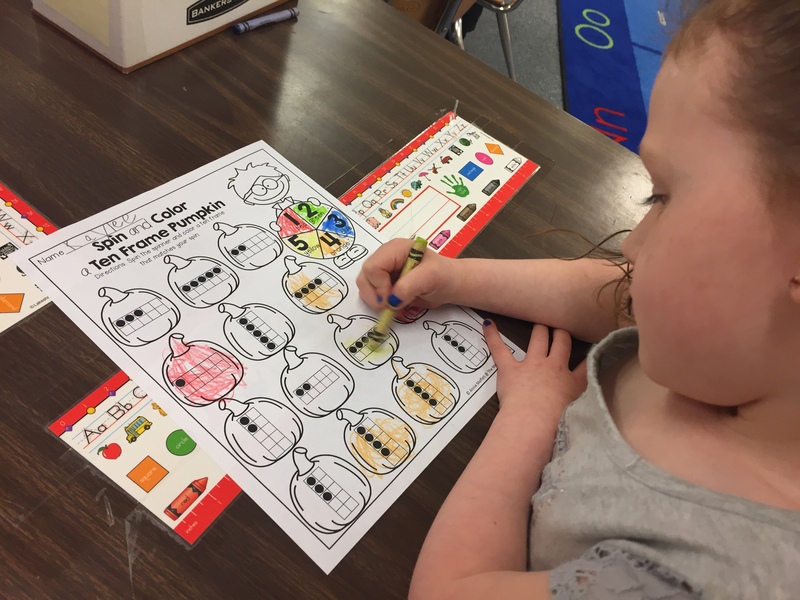 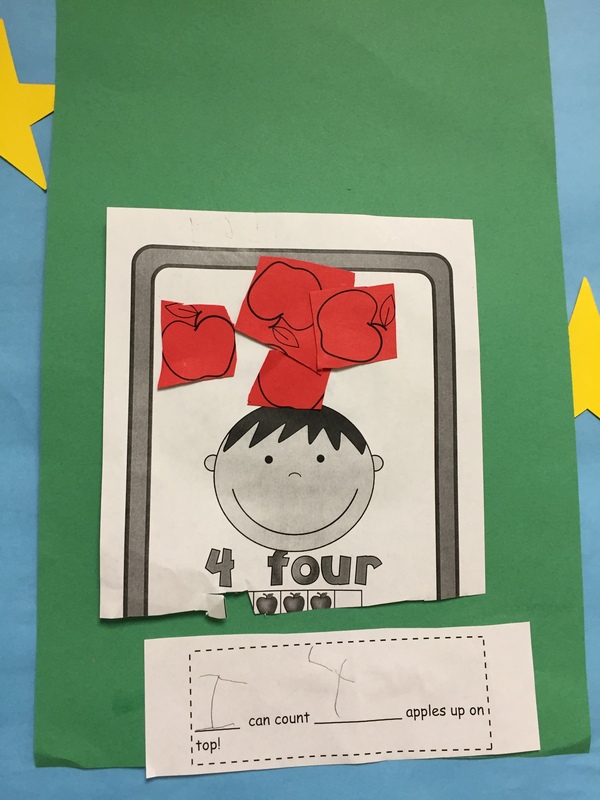 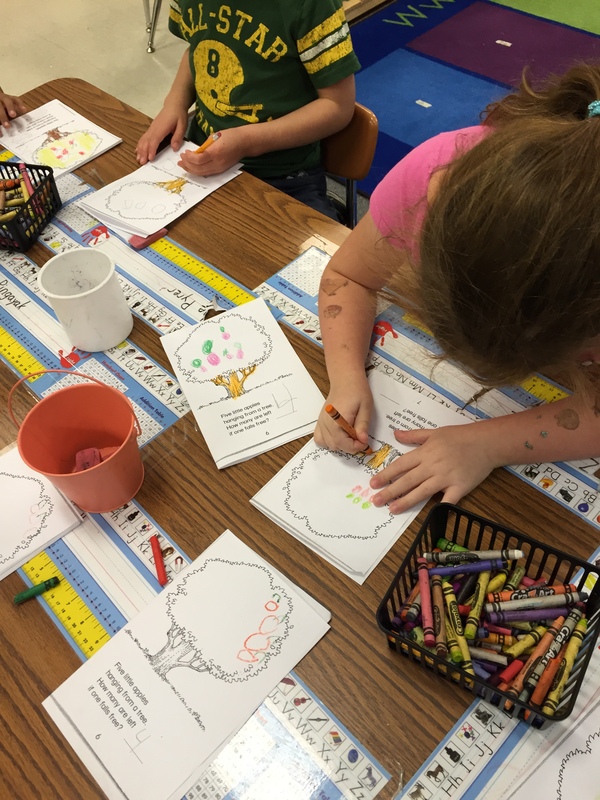 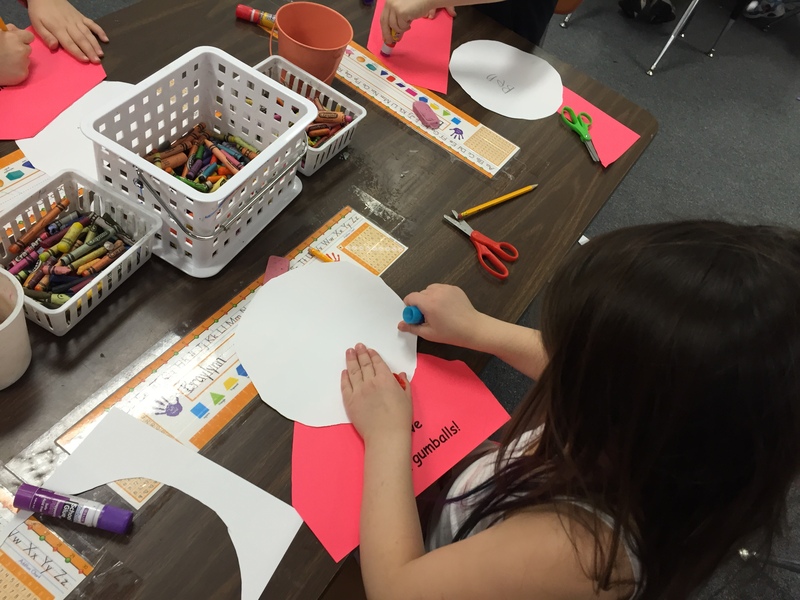 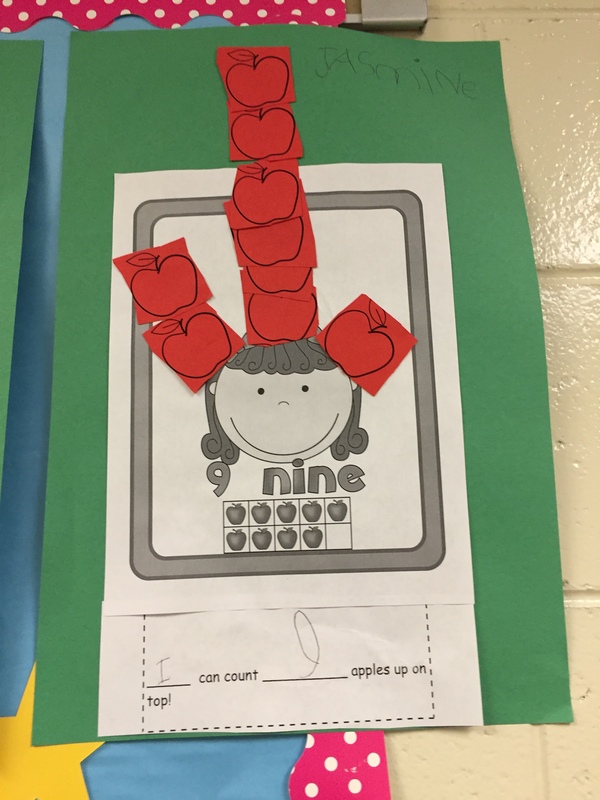 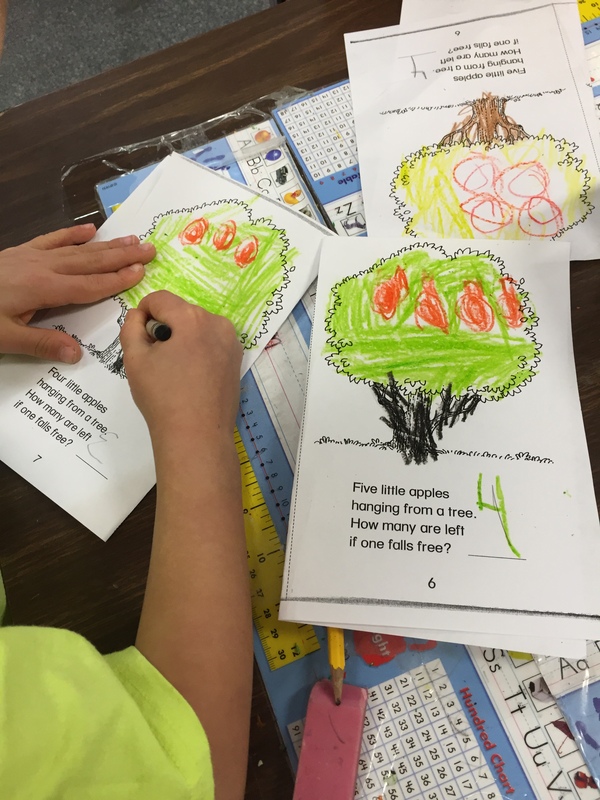 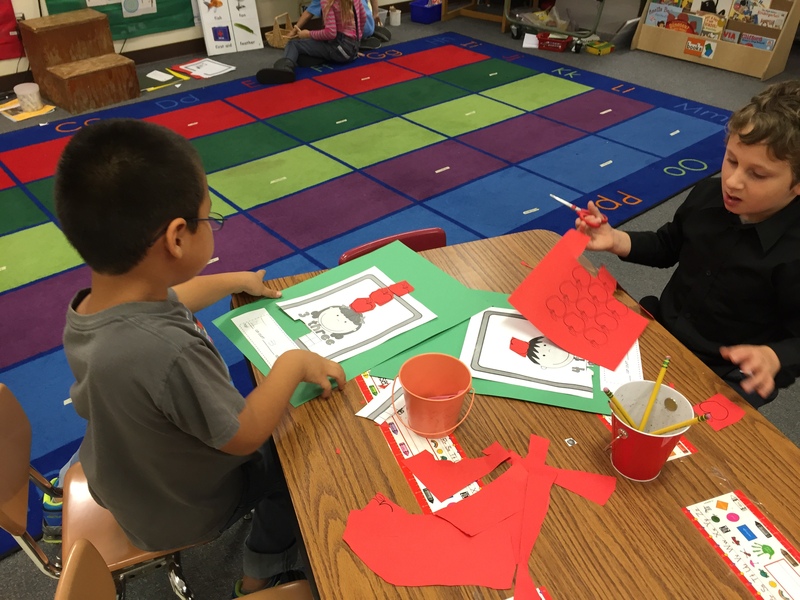 Then students picked a number and made a cut and paste art project that illustrated how many apples they can count up on top of their head. 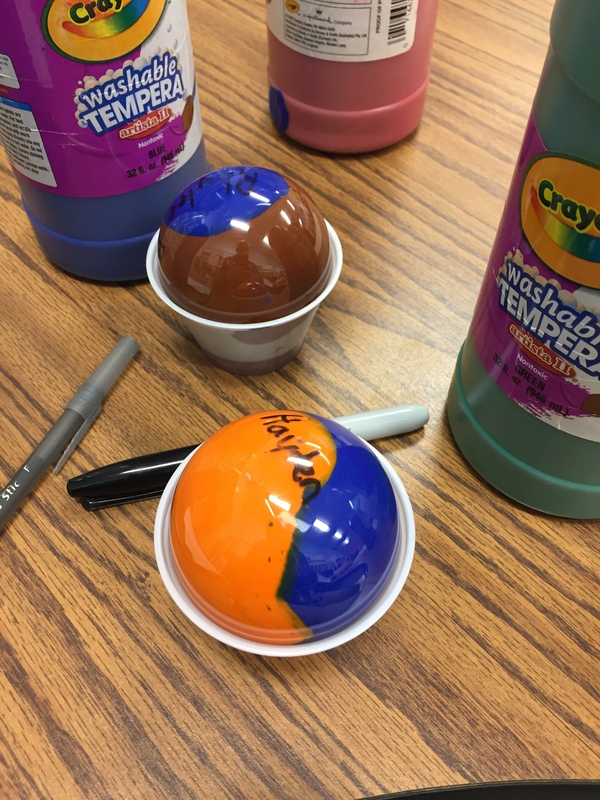 Well it’s that time of year again! 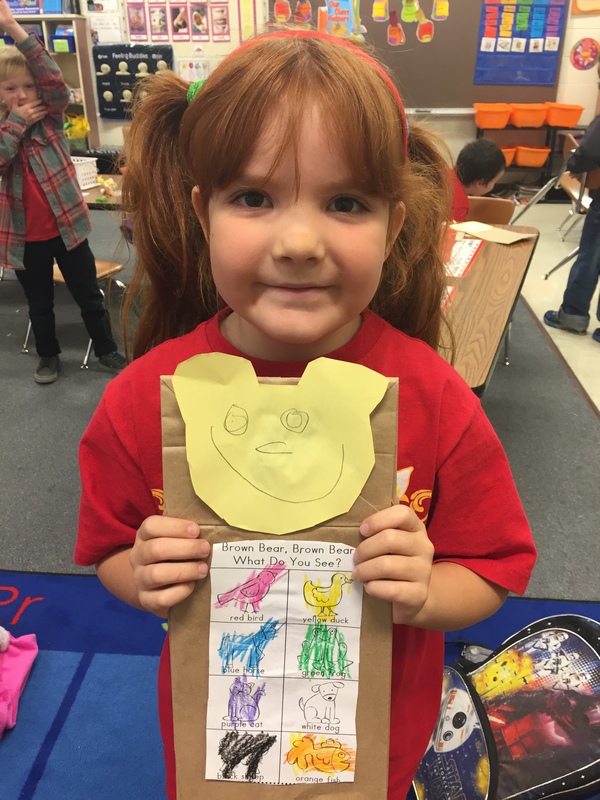 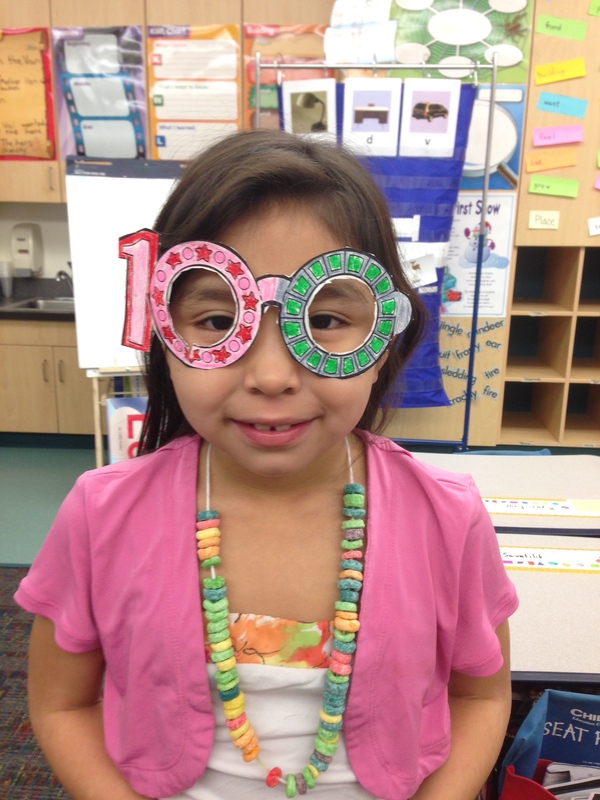 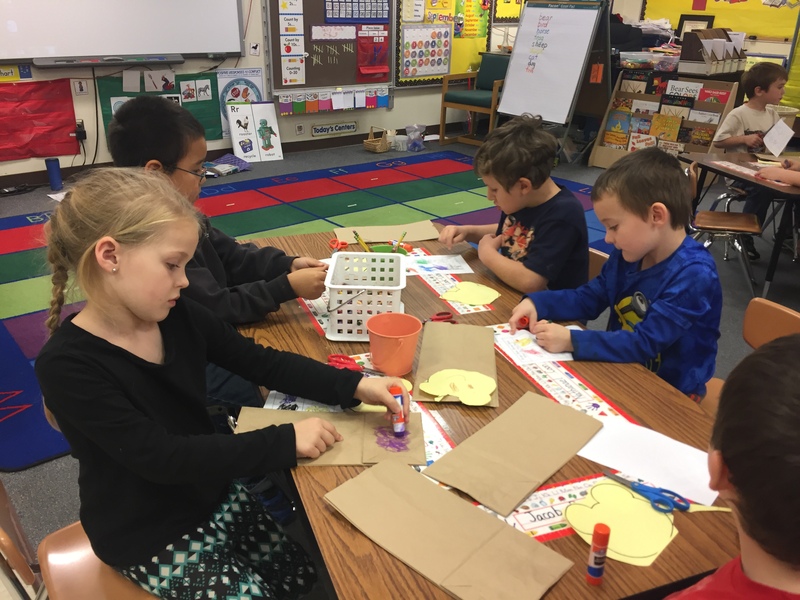 On Friday we celebrated the 100th day of school! 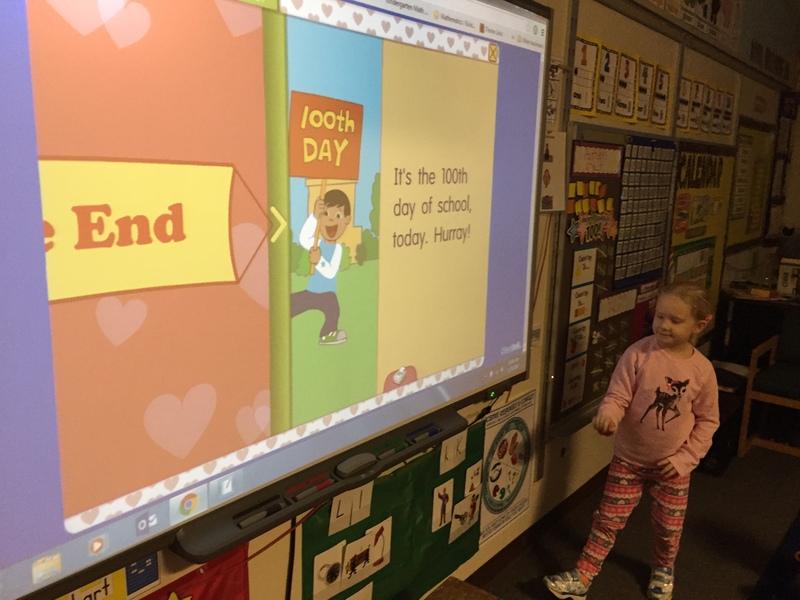 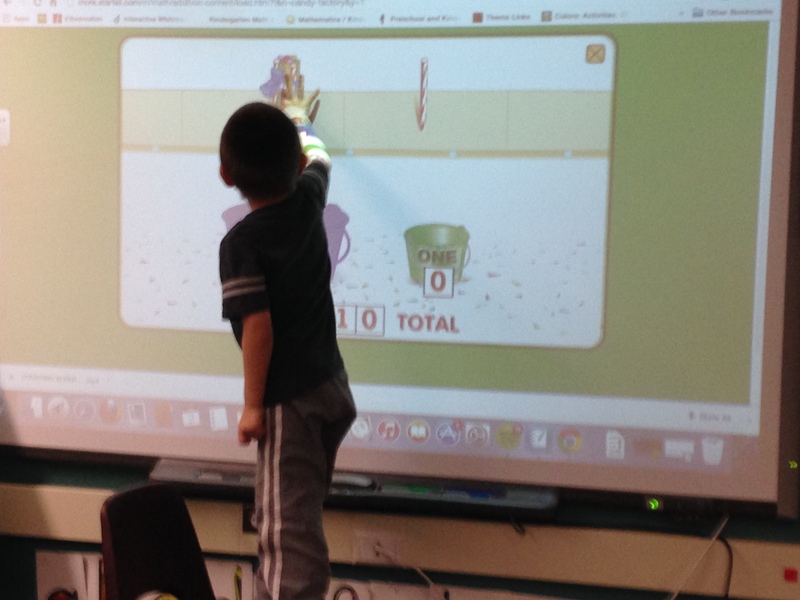 For literacy we read an interactive book about the 100th day of school on Starfall, and learned big number words. 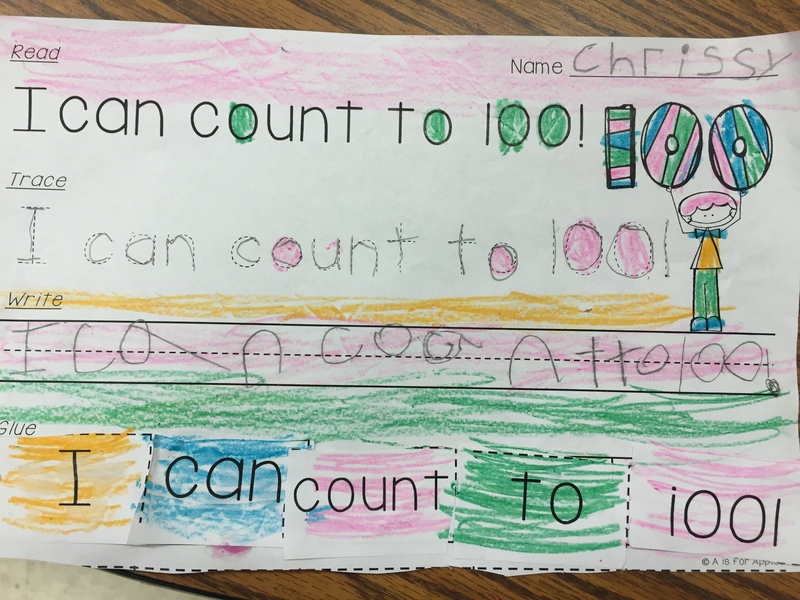 Then we created cut apart sentences about counting to 100. 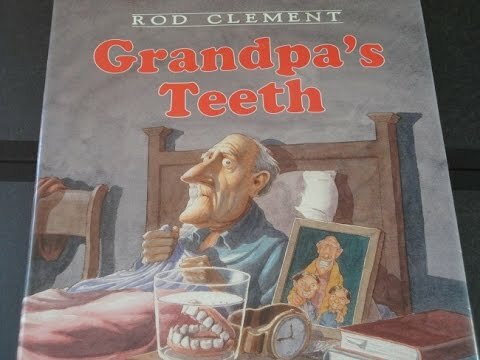 Then we read the story “Grandpa’s Teeth” and wrote about what we would do when we are 100 years old. 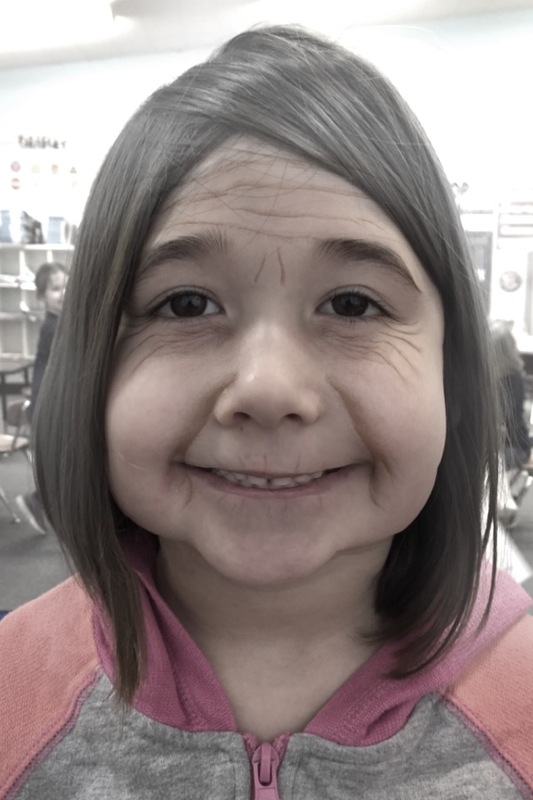 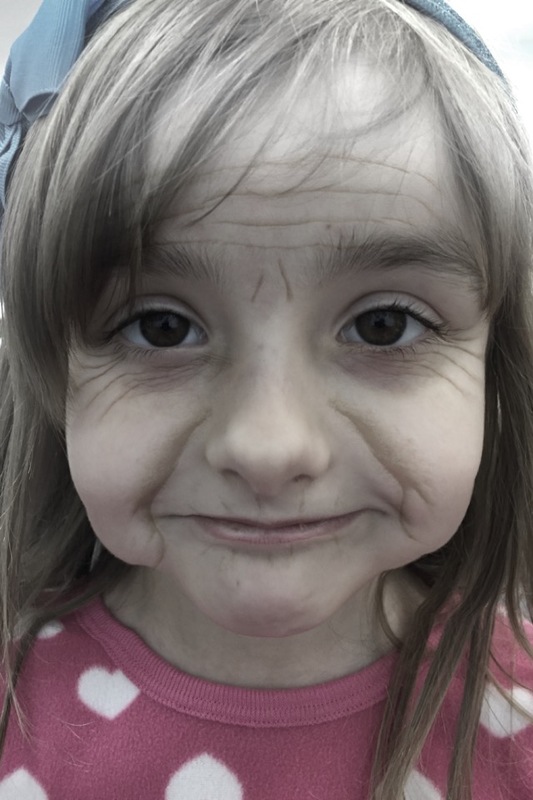 Then we took our pictures and changed them to what we may look like when we are 100. 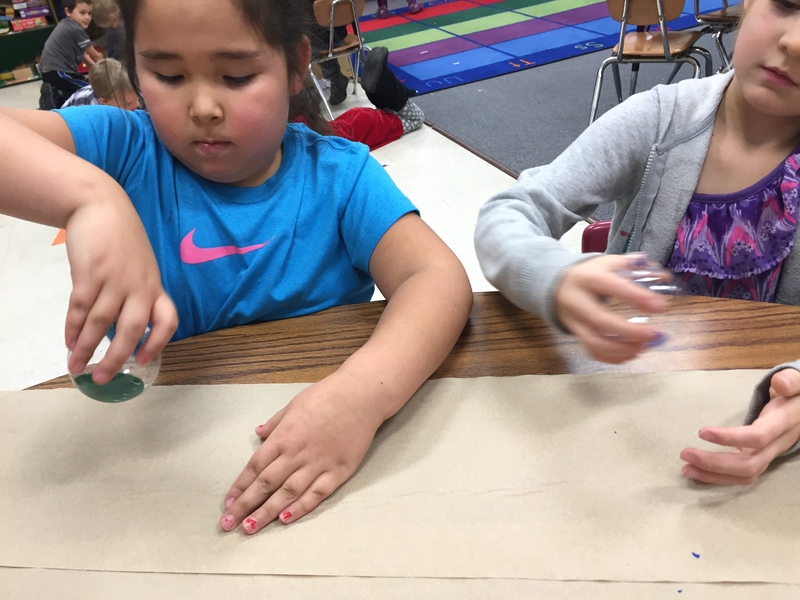 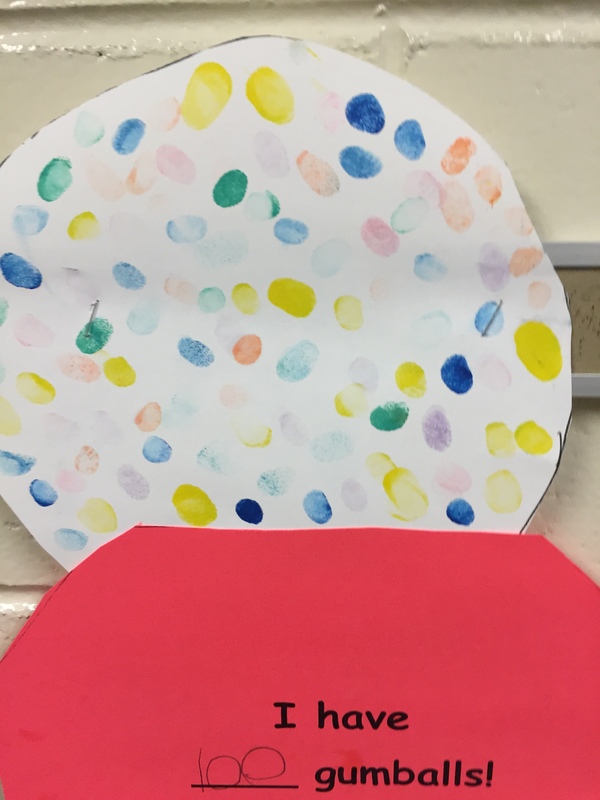 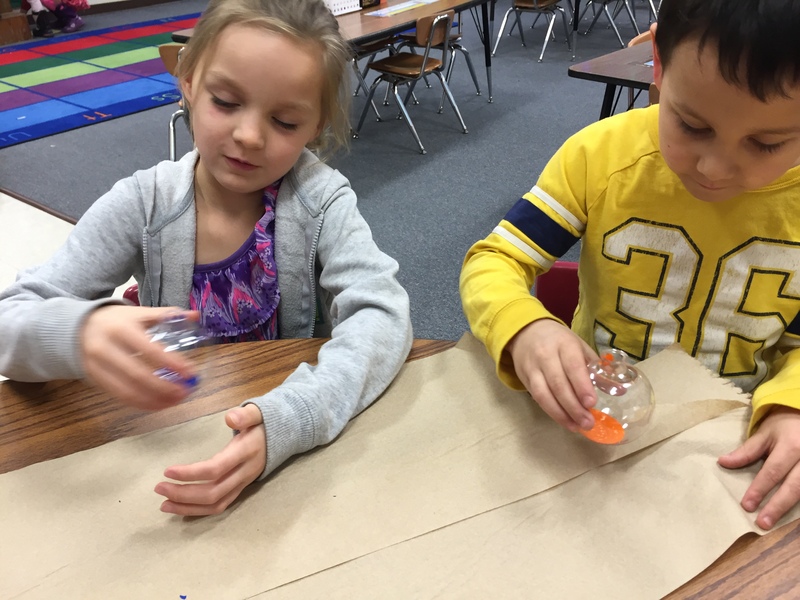 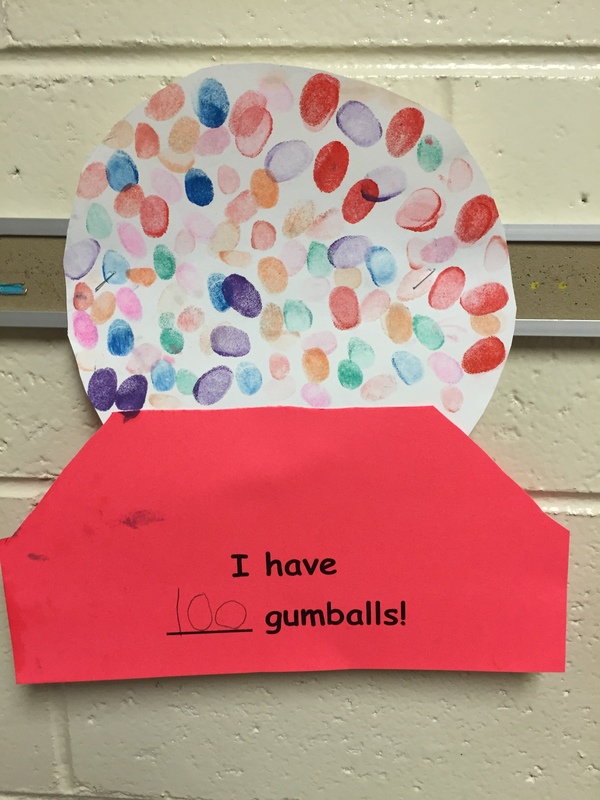 For math we did 100 finger prints in ink, to make a gumball machine. 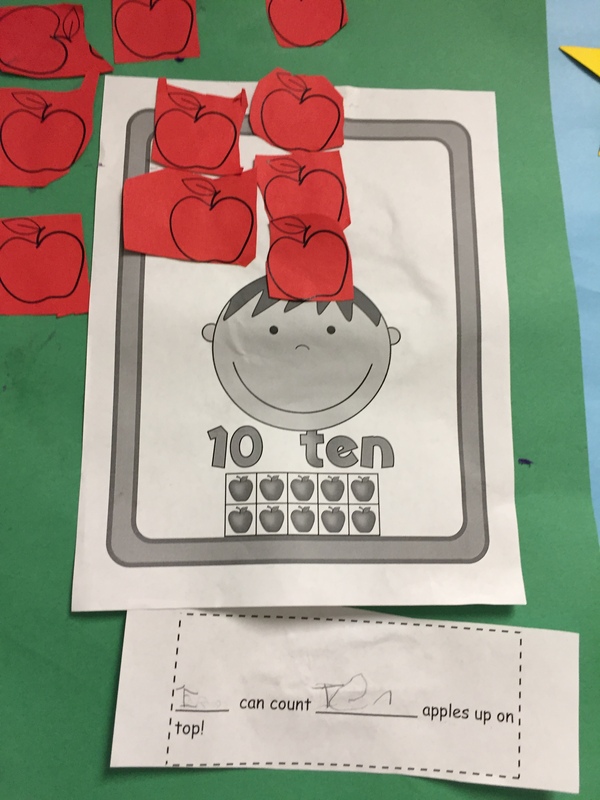 Then we made a cut part puzzle that counted by tens all the way to 100. 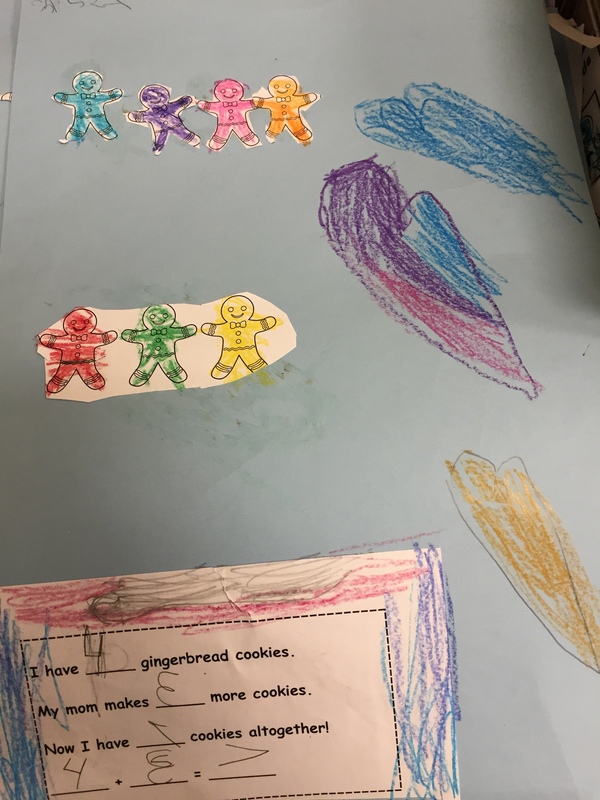 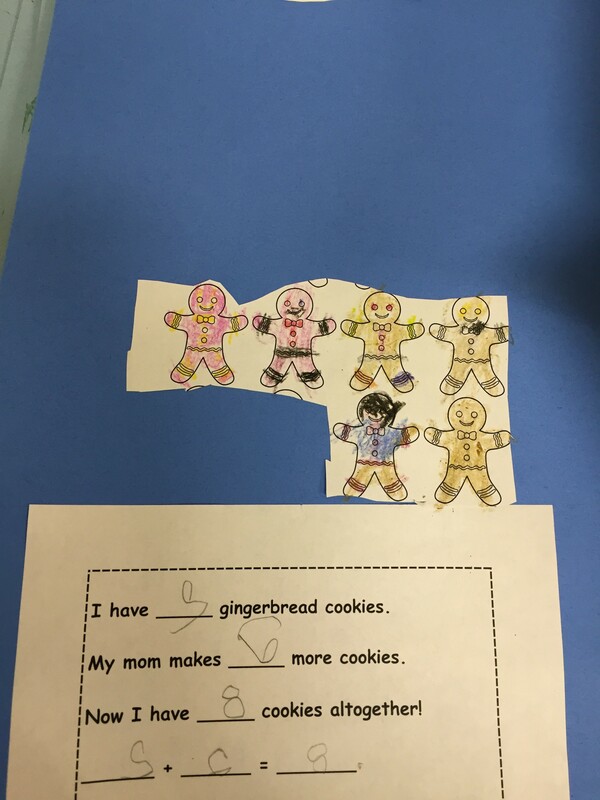 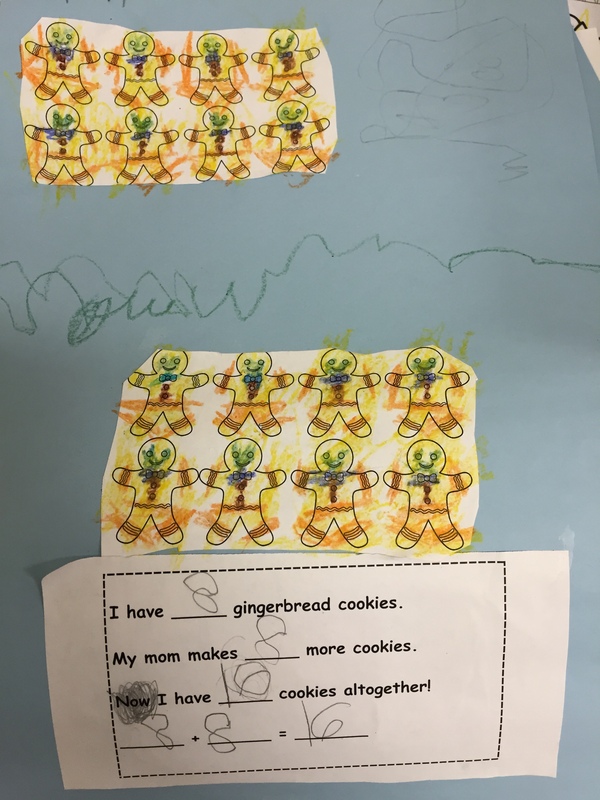 We read the story Christmas Cookies and discussed vocabulary such as the word tradition. 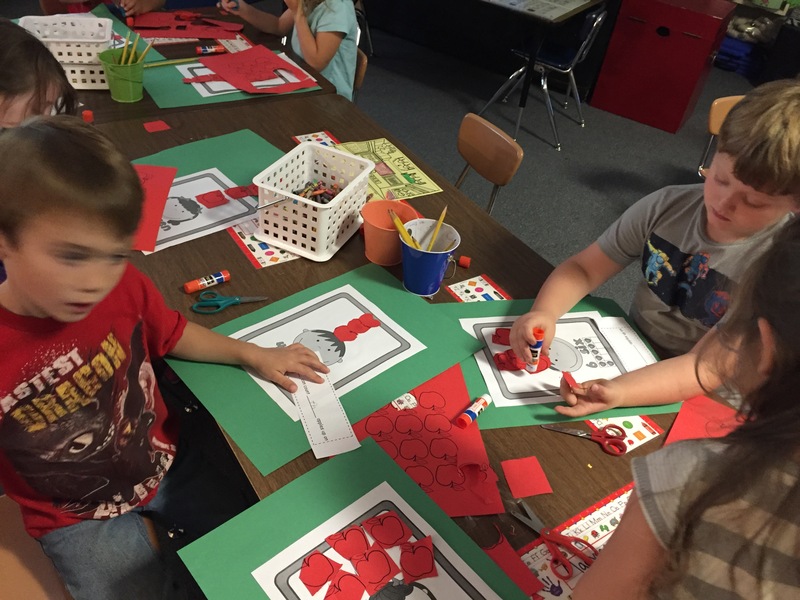 We also made a list of our Christmas traditions. 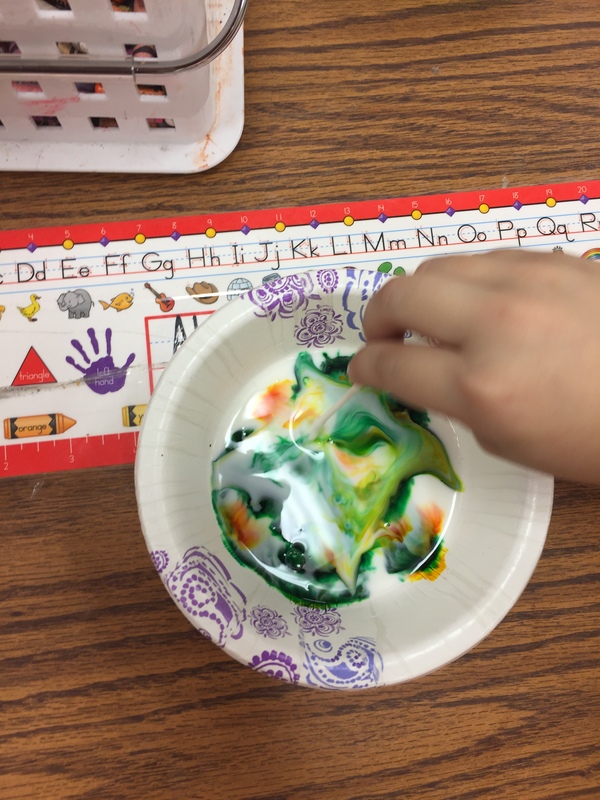 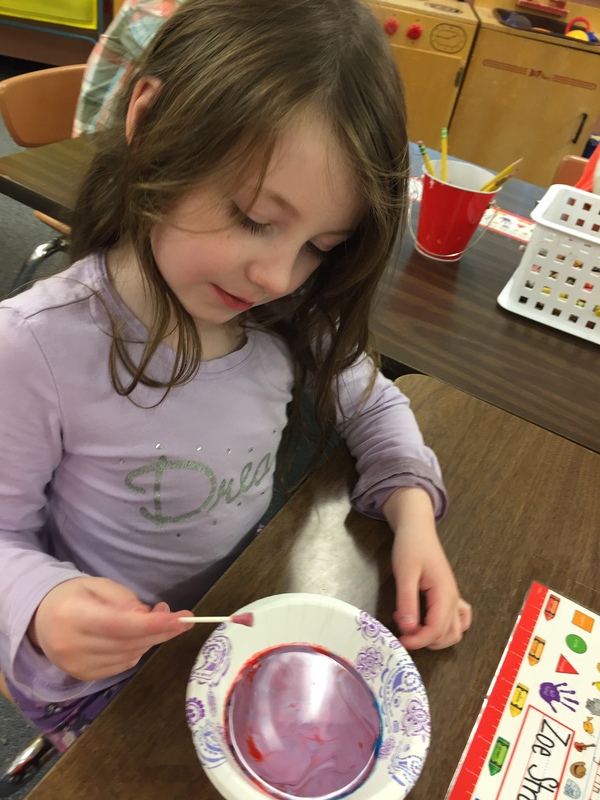 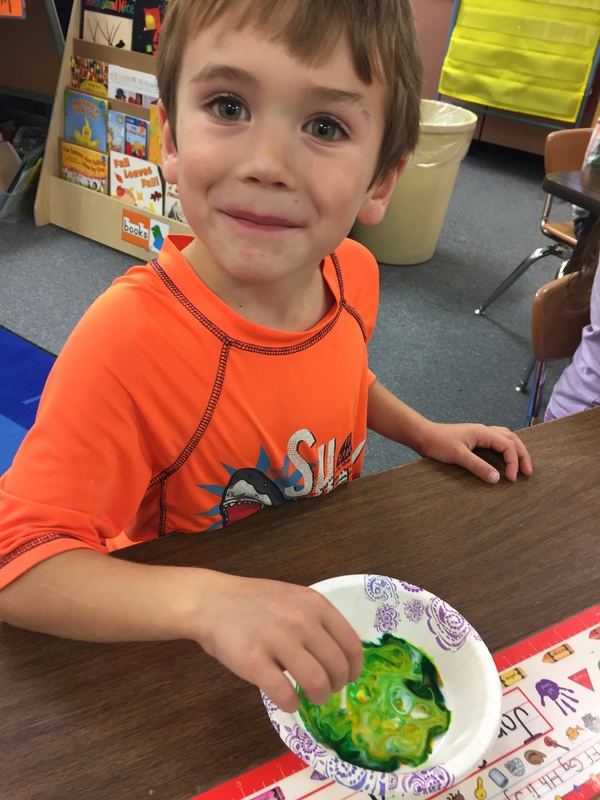 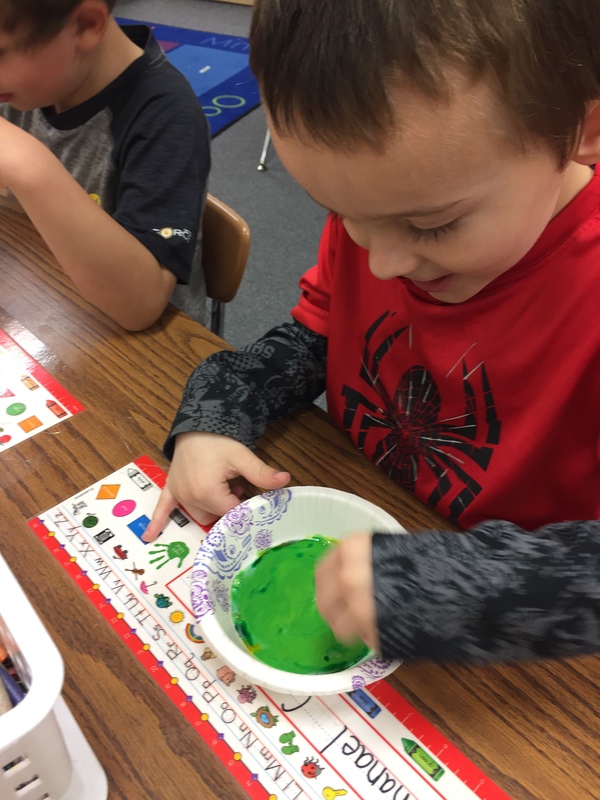 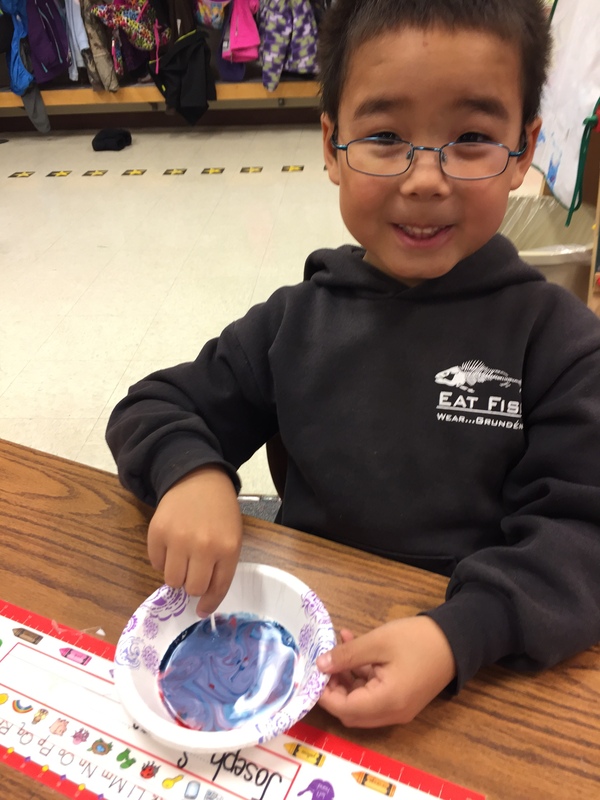 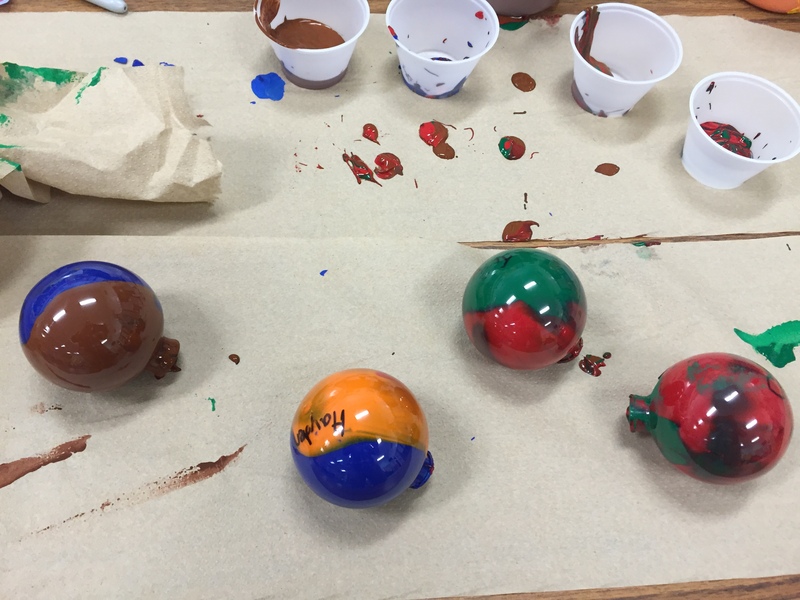 Then we wrote Christmas math stories about making gingerbread cookies, then we made Christmas ornaments using tempura paint. 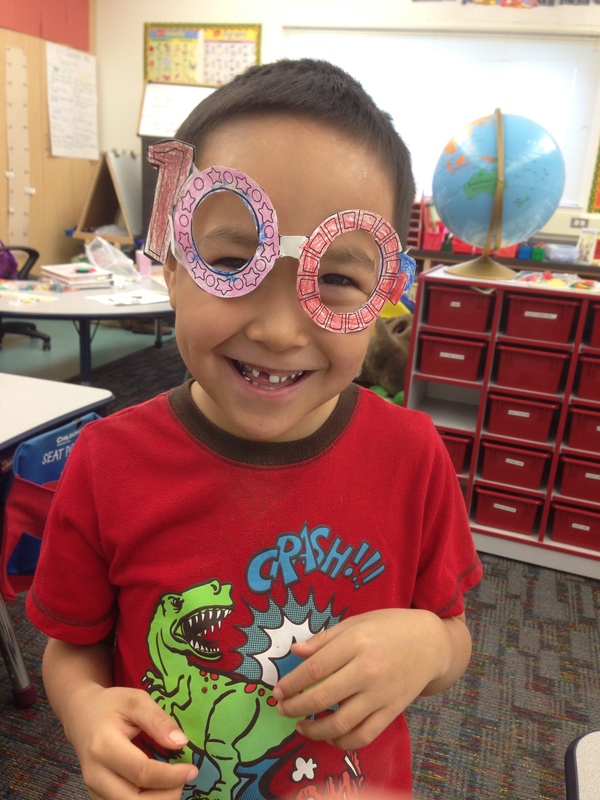 Today we celebrated the 100th day of school and what an exciting day it was. 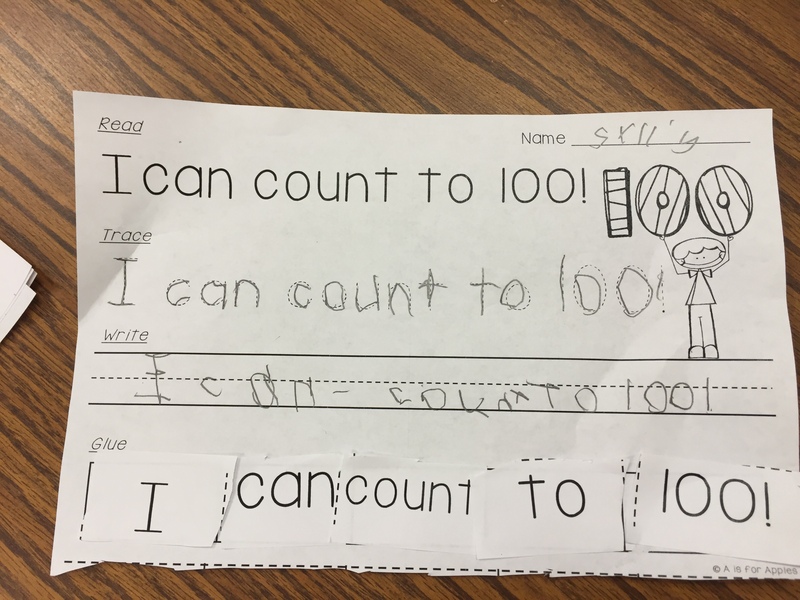 We started off by working out to our favorite Count to 100 song “Count to 100 Everyday” by Jack Hartmann. 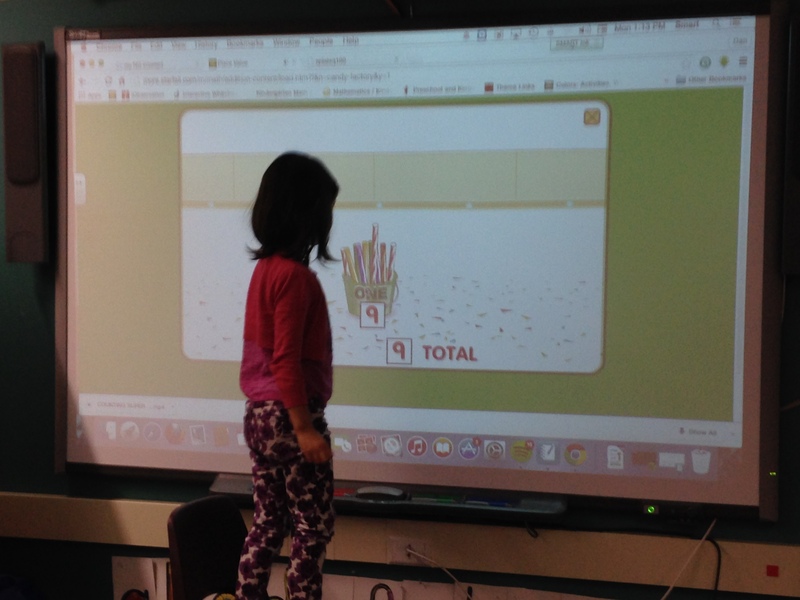 Afterwards we reviewed our place value that we’ve been working on all year during calendar time by playing Starfall’s Place Value Game. 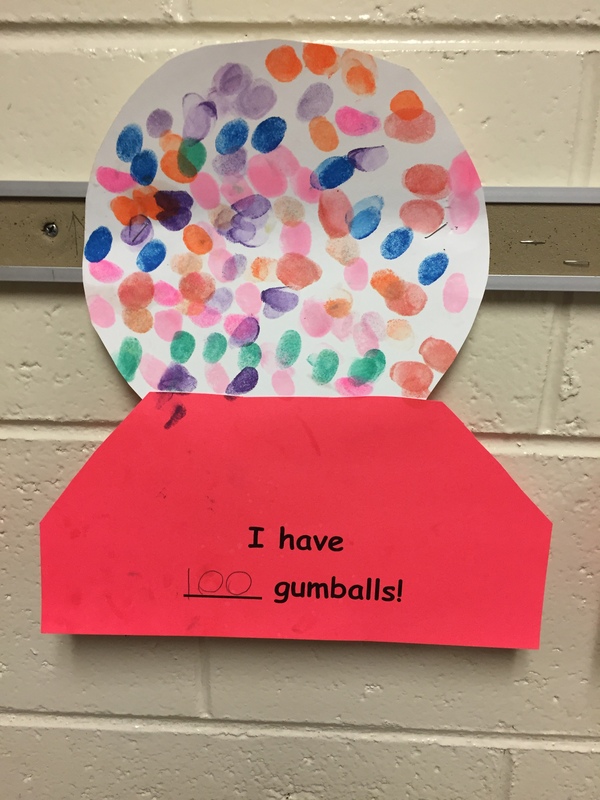 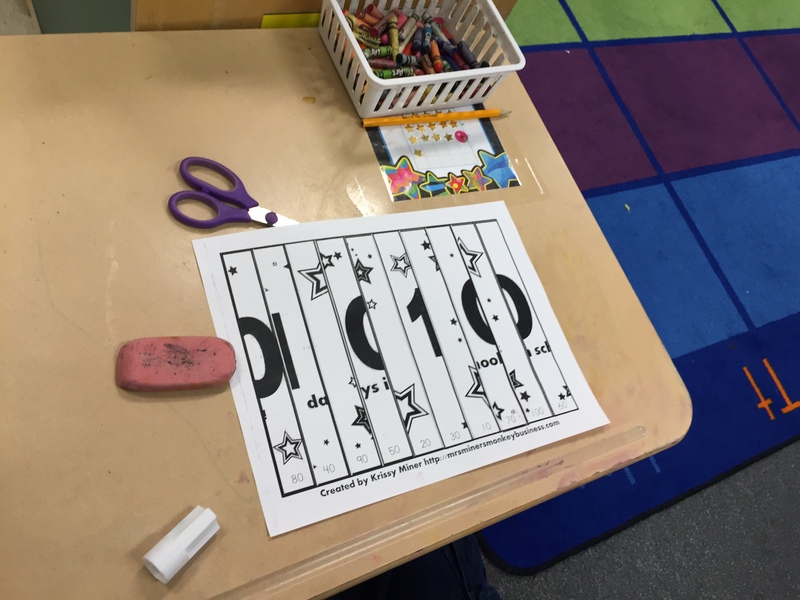 We worked together as a class and counted all the way to 100 by groups of 10’s and by 1’s. 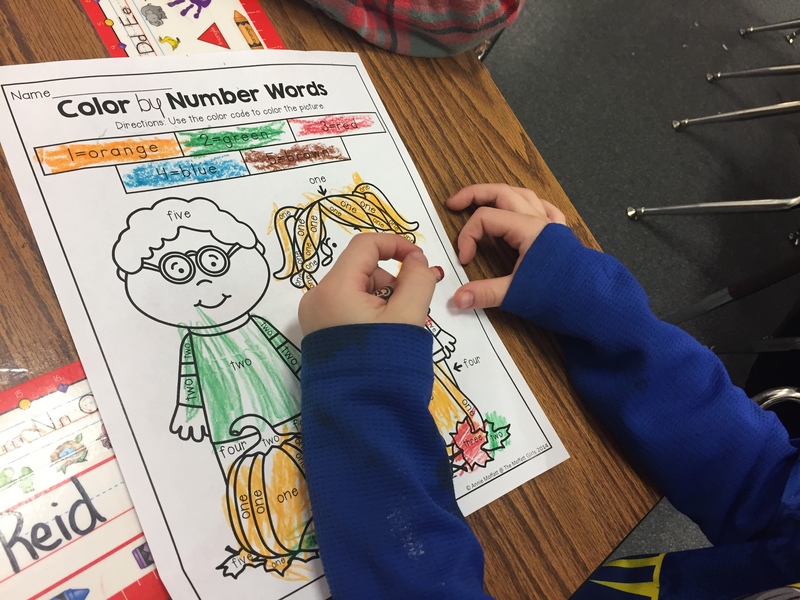 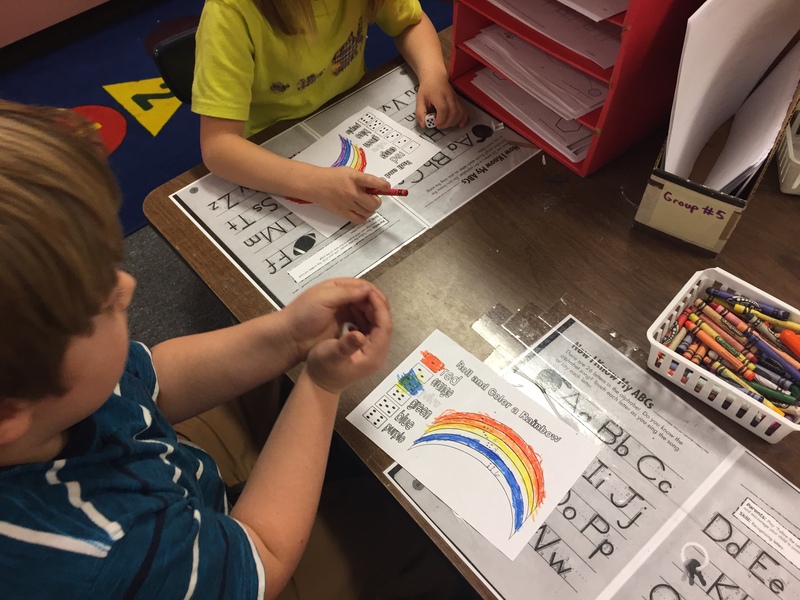 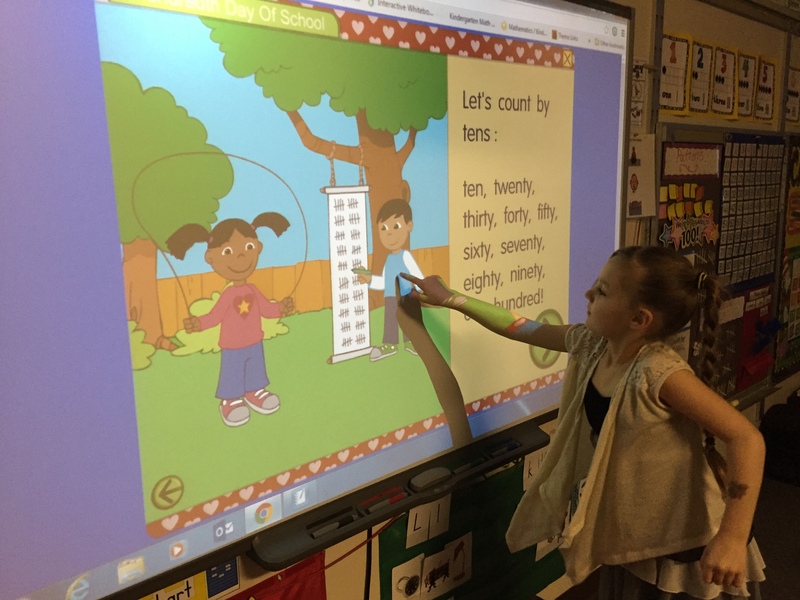 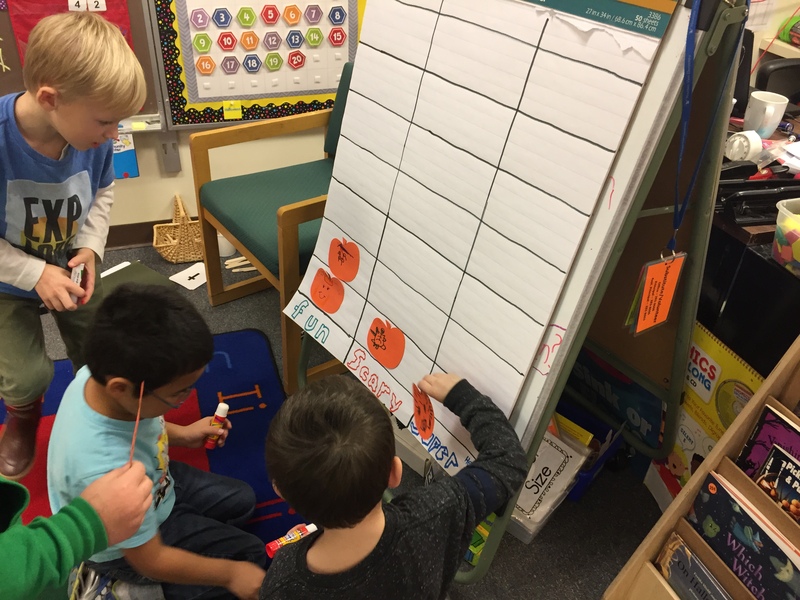 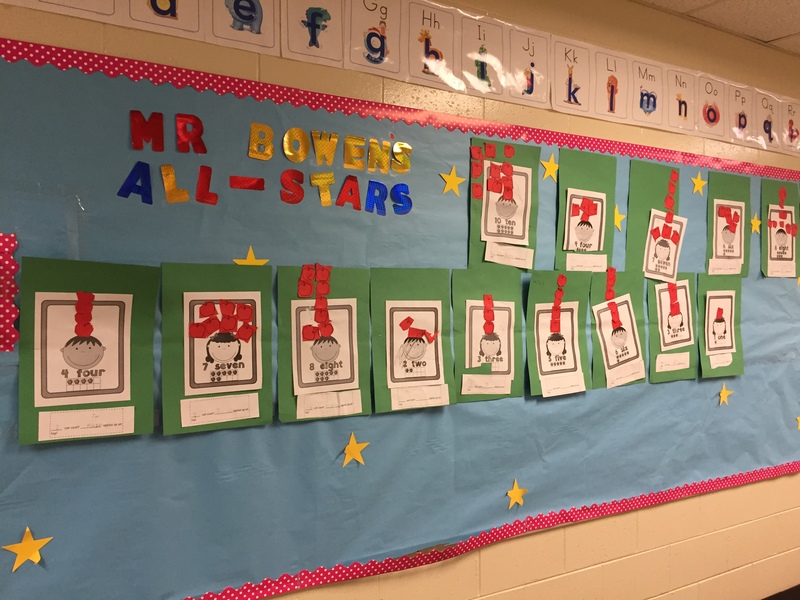 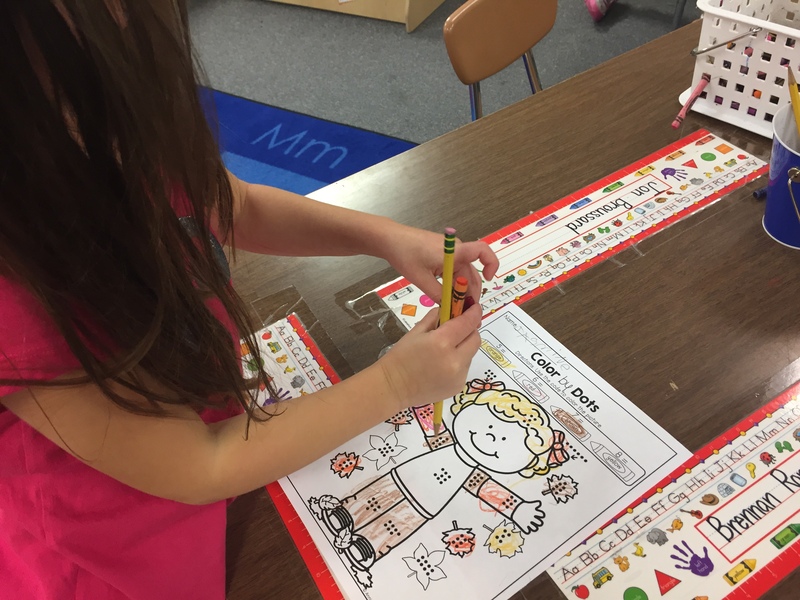 Then we read 100th day interactive book also from Starfall and then we brainstormed things we could count in the classroom that would equal 100. 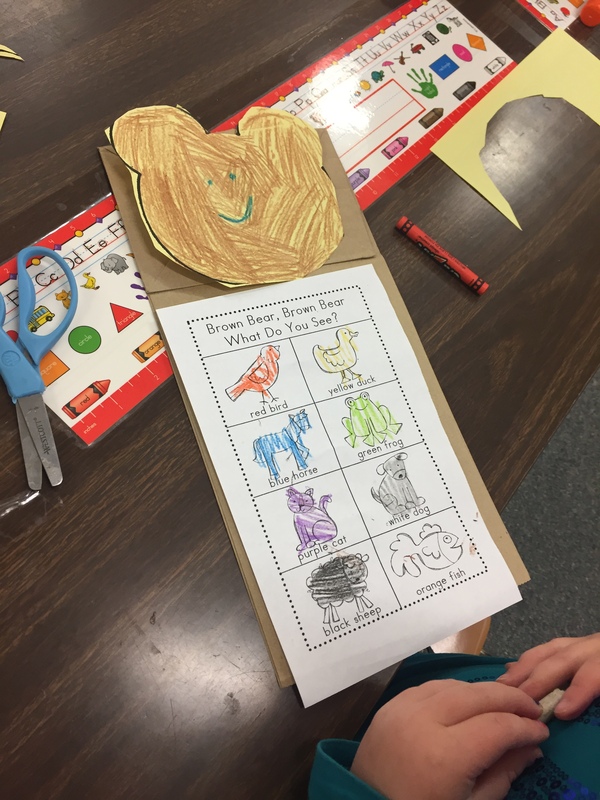 Students partnered up and found many things such as library books and writing paper. 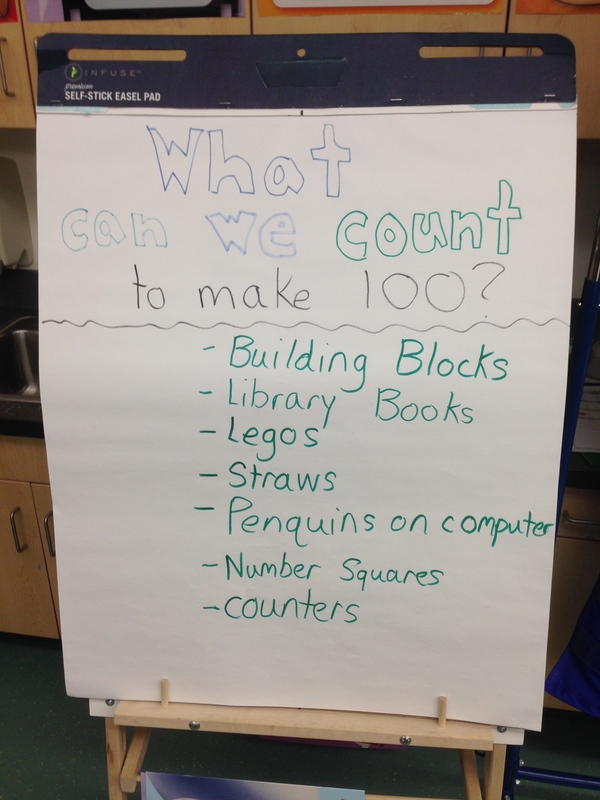 Then we talked about things we could count in our homes that would equal 100. 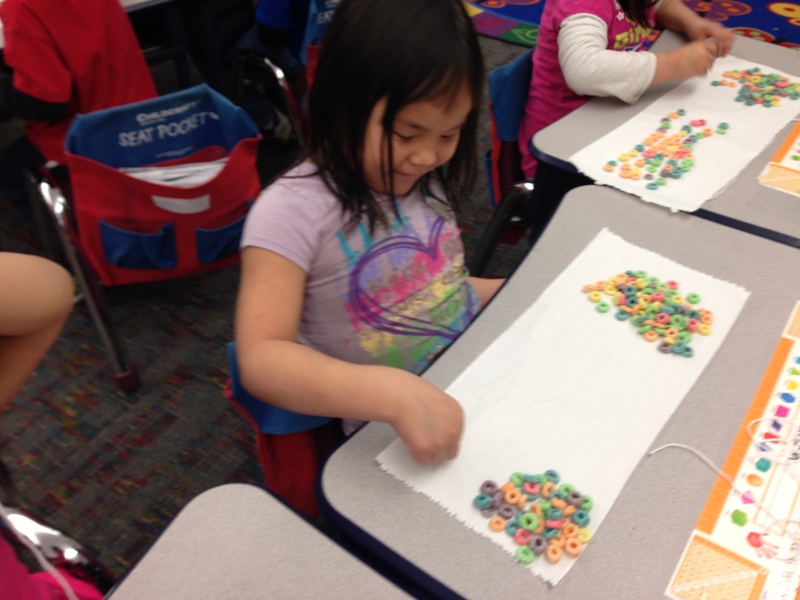 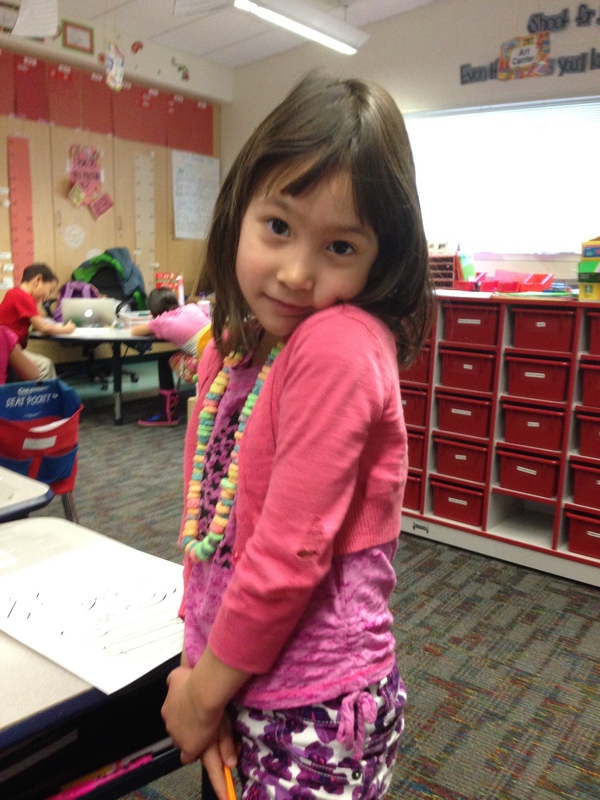 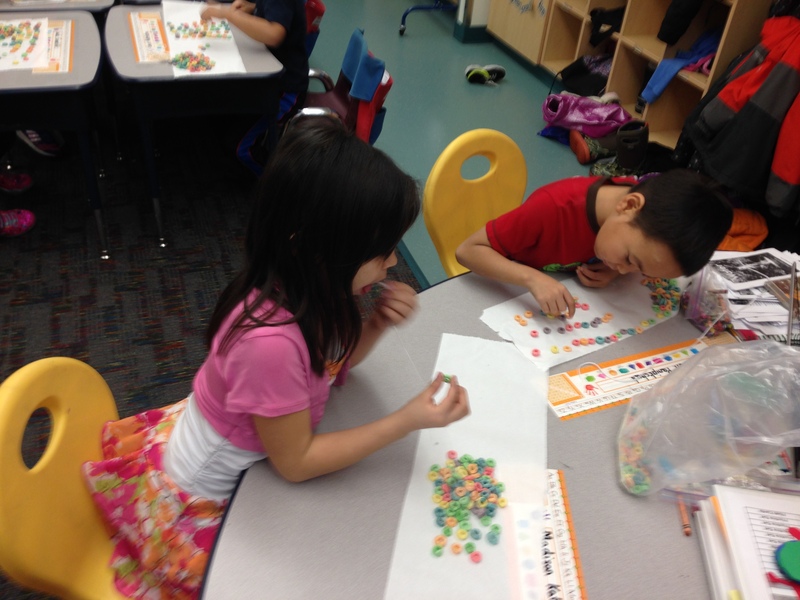 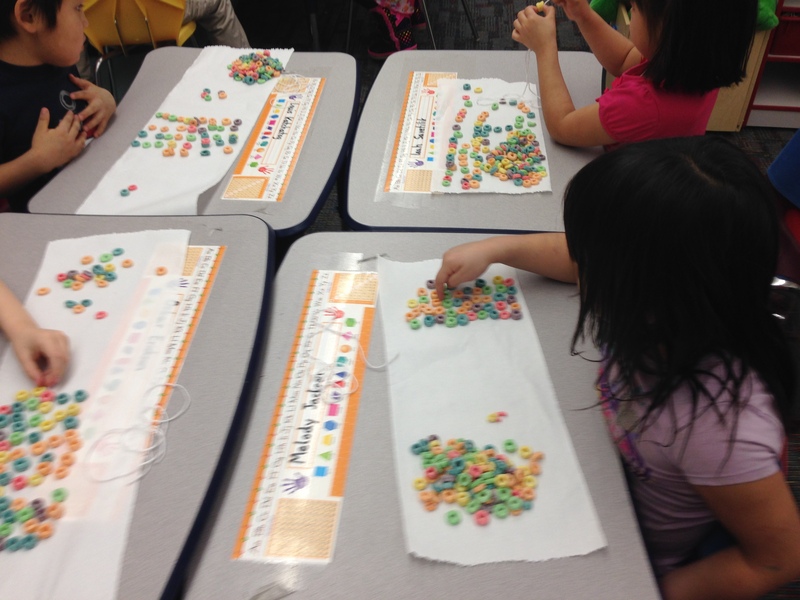 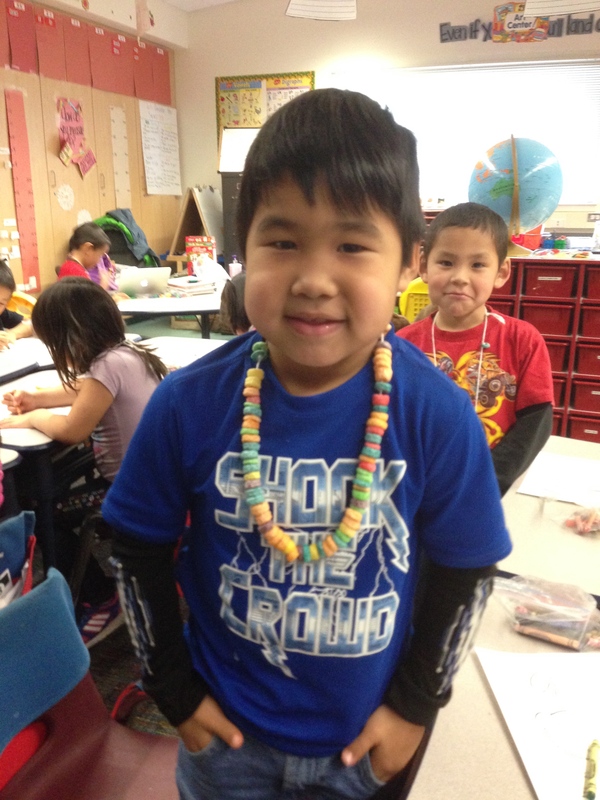 We counted out 100 Fruit Loops as part of our snack and made 100 Fruit Loop necklaces. 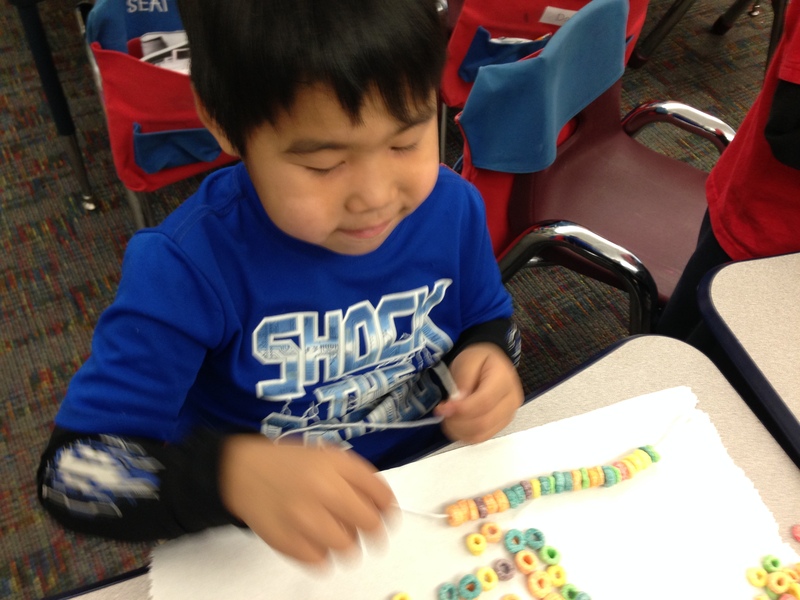 Finally we finished up the day by making 100 day glasses and eating the left over Fruit Loops. 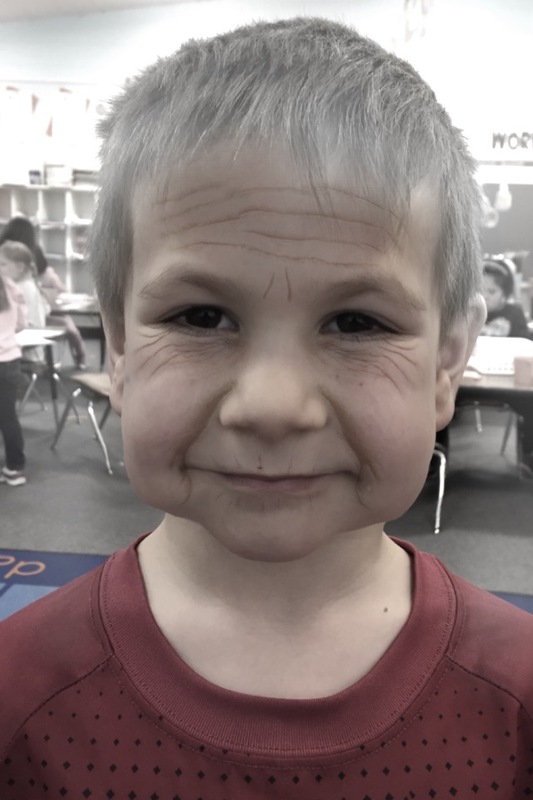 It was a fun and successful day, happy 100th day of school only 82 more left to go!